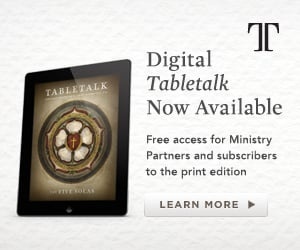 Tabletalk magazine was formed in 1977 to provide a substantive study tool for believers. 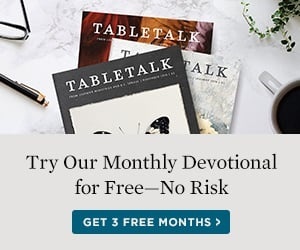 Though its format has changed over the years, Tabletalk continues to challenge and encourage readers to dig deeper into the Word of God in order that their lives may be transformed through the renewing of their minds (Rom. 12:1–2). Initially, serving as the ministry newsletter, Tabletalk changed to a devotional format in 1989. Daily Bible studies are the method for taking readers through the Bible, while theological articles by Dr. Sproul and other noted scholars address a particular theme each month. Over the years, Tabletalk has been recognized for its excellence through several awards. Today, people all over the world read Tabletalk on a daily basis. The magazine is regularly found in seminary libraries and churches throughout the country. An easy and effective program for reading through the entire Bible in a year. A handy format allowing the magazine to fit into most Bibles and notebooks. Share this helpful resource with loved ones.